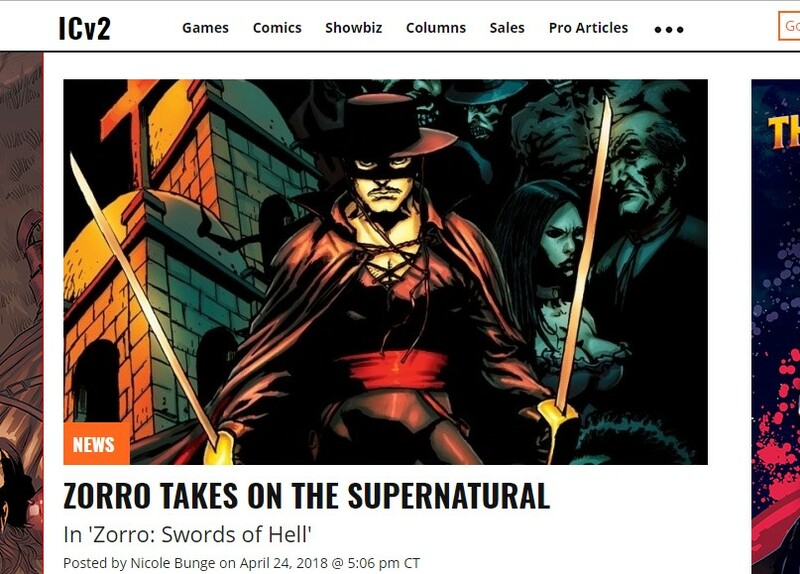 American Mythology will take Zorro in a new direction, fighting demons, vampires, and other paranormal evil, beginning in Zorro: Swords of Hell, the first miniseries launching on July 25. The series will be written by David Avallone (Bettie Page, Twilight Zone: The Shadow) and illustrated by Roy Allan Martinez(Immortal Iron Fist, House of M). The first issue will feature a main cover by Martinez, with a “Demon Fury” Variant by S. L Gallant, a “Classic Nostalgia” variant by Jon Pinto, a “Visions of Zorro” limited edition variant by Alex Toth (limit 450), and a blank sketch variant.